With his landmark book ‘Earth From the Air’ having sold over four million copies, Yann Arthus-Bertrand is perhaps most responsible for democratizing aerial photography, and making us aware of the beauty of the Earth from above. Now though, Arthus-Bertrand has opted to make the switch from using helicopters and hot air ballons (along with his Canon full-frame DSLR kit) to achieve his breathtaking shots to using drones – specifically the DJI Inspire 2 with a Zenmuse X7 camera. The Zenmuse X7 camera is quite a step up from the cameras found on most entry-level drones, featuring a built-in gimbal and 24MP Super 35mm sensor (with physical dimensions larger than an APS-C sensor) with an impressive 14 stop dynamic range. “The sensation of flying a camera while staying on the the ground is a totally new and amazing experience for me,” said Yann Arthus-Bertrand. “We are able to shoot aerial images from a completely new perspective, and I am convinced that I will continue using drone technology for my work in the future. 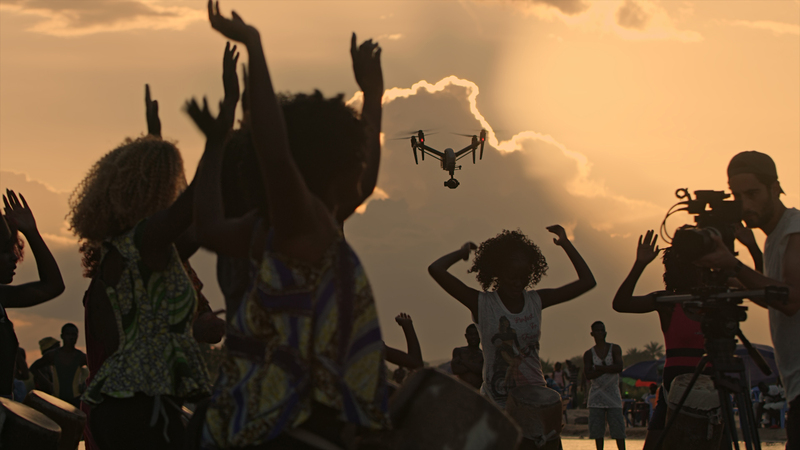 Take a look at the video to see how Yann Arthus-Bertrand implemented the DJI Inspire 2 into his latest film project titled ‘Woman’. “I wanted to be as flexible as possible when filming the environment and the women who will be the true heroes of the movie,“ he says of the project.